On November 11th, the Student Veterans Group and ROTC cadets at John Carroll will host the Veteran’s Day-Celebration of Service. As part of this program, we are asking the community to recognize a Veteran in their life. You can submit a nomination below by telling us a little bit about them and even upload a photo. 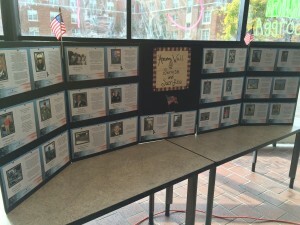 These submissions will be compiled into a presentation displayed on Veteran’s Day in the Student Center Atrium. Tell us about the veteran in your life by clicking on this link and filling out the form. Where is the Veteran from? In what military branch did/do they serve?